Welcome to the April 2019 issue of The Bullet. This month the outdoor adventures really get going! Hunters are hitting the woods to bag a turkey. There’s something almost magical when you hear a big ol’ tom respond to your calling and then comes up over the rise to your decoy. The fishing gets even better this month too. The crappie bite continues to heat up down south and works its way north. Walleyes continue their fun and trout are being caught in streams, rivers and lakes. One last thing. I have to mention, (I pray I don’t have to do this again soon) the passing of my Uncle Don Bridges a couple of weeks ago. He was my last living uncle and thus ends an era in my life. Uncle Don was a lifelong fisherman, hunter and trapper. He did it all in his 84 years from setting nets in rivers and lakes to running trap lines. He retired as a welder from one of the steel mills here in the mid-west but never retired from fishing. He ran nets up to a few years ago when his health forced him to quit. There are many pictures of him with his “catches” and he had many stories to go with them. Stories of fishing, trapping, hunting, selling produce and fish on the road side to selling useless treasures at flea markets, he had them all. It was a real joy to relive/retell some of our favorite Uncle Don stories with my relatives one evening when we all gathered together. I wish he would have written a book. I think it would have been a best seller. He will be missed by many but knowing I’ll see him again and get to hear his stories brings me some comfort. Rest in peace Uncle Don. Donald E. Bridges, 1934 – 2019. Enough said. Let’s get to it. Enjoy issue number two hundred and twenty two of The Bullet. Until next month, J. E. Burns, Editor-in-chief. BACKWOODS TRIVIA: Do you know the answer to this question? Can you name the five sub-species of wild turkey in North America? One cup or so of Southern Comfort whisky. Mix equal parts of honey and Southern Comfort until you have enough to fill a coffee cup or an empty soup can. Set this aside. Heat the oven to about 350 degrees. Drop (this is the important part, hence the name of the dish) the wrapped turkey onto a greased sheet or whatever will fit into the oven and stick it in. After about 5 minutes, brush the droppings with the honey-liquor mix. Do this every 5 minutes or so and bake till the crust is the color of a late summer whitetail buck. These can be made with many varieties of ground meat. Beef, bear, wild boar, possum, venison, wood chuck, komodo lizard or even kangaroo. However, even though I don't want to be labeled a neigh-sayer, I would never use horsemeat. At least not as the mane ingredient. Thanks Buck for sharing this recipe. To see more great recipes for wild turkey his season, visit our site at www.backwoodsbound.com/zturkey.html. Send in your favorite recipe to mail@backwoodsbound.com and we'll post it on the site or use it in an upcoming issue of The Bullet. We’re going all out this month and offering 25% OFF ALL orders! That’s right! 25% OFF everything you order! Get ready for your upcoming spring and summer events as all wine charms, bag tags, earrings, bookmarks, zipper pulls are 25% Off this month. And remember that we’ll personalize them for free! These savings end April 30, 2019 so order now! Like I’ve said before (probably many times, ‘cause repeating stories and advice is what we geezers do best), turkey hunting is a lot like trying to pick up women. First of all, they are both an exercise in promising romance. Depends on the “game’ I reckon. I mean, after all in both cases you’re out their presenting your very best efforts at either calling, cluckin’ or gobbling on the one hand, or struttin’, braggin’ and shuckin’ on the other. An example is that first contact. You’re in a bar, tavern or nightclub. What are your chances of breaking up a group of woman sitting together during their ‘ladies night out’? Just about as much as hitting that big ol’ tom at 75 yards with number 7 shot through the brush. Zero to none! But, if you can get one of ‘em off to herself, your odds of success rise drastically. Maybe as much as 75%. Same with a gobbler. 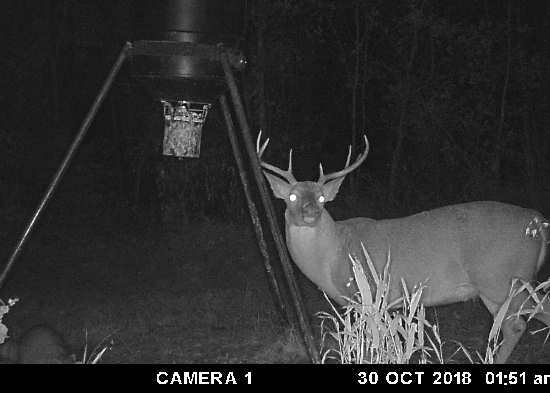 Get him in the 35- 40 yard range, load # 4 shot and he’s deep fried this weekend. Okay, it’s a very similar situation when turkey hunting. You gotta break up those “hen parties’. Most times the old tom in the territory won’t respond to your efforts cause he’s been spending his nights roosting up there with a bunch of hens. Now I ask ya, if you were already surrounded by those of the female persuasion and another slight possibility sauntered by, what would you do? Hmm? Leave that sure thing for a slim chance at upping your dubious score? Nope. Same with the smart toms. So what to do? Well, if it’s legal where you hunt, go out the night before the hunt and scatter those birds off their roost. They will in all probability find a solitary roost for that night. The tom too. And he’ll be calmed down enough by daybreak to get back to what’s utmost important in his mind - finding at least one of those friendly hens from the night before. Now just do your best to make him think that you are that hen! FUN FACT: This month’s fun fact comes from George Watson. "Did you know there are only two species of turkey in the world? The North American wild turkey, genus name Meleagris gallopavo which has five distinct sub-species and the ocellated turkey, genus name Meleagris ocellata, which is found only in Central America." * Preheat oven to 400 degrees. Spray a baking sheet with nonstick spray. * Place the buttermilk in a shallow dish. * In another dish, mix the cornmeal, Cajun seasoning, onion powder, garlic powder, thyme, basil and lemon pepper together. * Dip the fillets in the buttermilk, shake off excess. * Dip in the cornmeal mixture and place on sheet. * Sprinkle with cayenne pepper to taste. * Bake for 20 – 30 minutes or until fish flakes easily with a fork. * Remove and let cool a few minutes while setting the table. * Serve with your favorite side dishes and enjoy! Thanks to James Burns for sharing this recipe. To see more fish recipes to try visit our site at www.backwoodsbound.com/zfish.html. Nothing ruins the occasional fishing trip more than driving a long distance to your favorite spot, only to find out it's been raining for the last few weeks and the water is the color of chocolate milk! Many years ago, I was like most weekend anglers, and would immediately try to find another lake or river that might be a little clearer, or just turn around and go home. But I found over the last 20 years, that it isn't necessary to give up so quickly on muddy water. There are many times when a creek arm or a certain portion of the lake or river isn't as muddy, or there is a transition zone where it goes from muddy to stained, which can be a good area, but, even if there is no clearer water, there are many things you can do. Most game fish react the same way to muddy water, they go shallow and they move closer to structure. This could mean a lot of different types of structure, such as brush-piles, lay-downs, rocks, stump fields, pads on shallow flats, anything! When the bass are holding tight to cover, because of low visibility, the lure presentations sometimes need to be precise, such as when flipping a log or tree roots with a jig. Below are the 6 basic choices you should have rigged for fishing muddy waters. I know this sounds like a strange choice, but a lot of times when bass are holding real tight to cover, a larger, bulkier worm, with some rattle inserted, possibly with a paddle tail, worked real close in the cover, can work well. I use a black or a black/red combination in muddy water. I also use the new Big 7 inch Senko that is out now, and drop it right into heavier cover. I have been using the new Cut-Tail worm for this also. These baits such as the Bill Lewis Rat-L-Trap, Cotton Cordell Diamond Shad, or the Rattlin' Rapalas, are excellent choices for probing different depths of muddy water, and where muddy changes to stained. The noise and vibrations of these baits, along with a realistic shad shape, make these great baits for stained to muddy water. I use a lot of the real fat bodied crankbaits in muddy water. I choose different baits with a wide wobble, and sometimes rattles in them. I usually stay with darker colors like red and copper in muddy water. These colors with a wide wobble are easier for bass to find. The bass will be using their lateral line more in the muddy water, so a spinnerbait with a heavy pulse such as a Terminator night bait, with a black skirt, and Colorado blade, is a perfect choice. You could even add rattles to this bait, which I have had success with in the muddy rivers and lakes in the Northeast. I always use a single Colorado blade on the spinner baits in muddy water, but in stained, or warmer stained water, I do go to an Oklahoma Blade sometimes with good results. ZAP Custom Baits has 2 spinnerbaits that we have been using for these situations that work real well. These are my favorite baits to use in muddy water. There are so many baits that shallow, muddy water bass will hit! The buzzbait worked slowly around cover will draw tremendous strikes. We use a ZAP clacker type buzzbait for this. The walking type baits, such as a Zara Spook, and Fenwick walking baits, Jitterbugs, Crazy Crawlers, and a variety of other topwaters, including poppers with rattles, are excellent and exciting choices for muddy water bass. The bass will all be in water that is 1-4 feet deep, eliminating a lot of the water, making them easier to catch! Jigs in Brown/Black or Blue/Black with a Zoom or Uncle Josh trailer, with some rattles, are an excellent choice to flip into lay downs, and shallow stump fields, and of course on docks. Terminator makes a new jig for these situations that we really like. Make repeated casts to give them a good look and provoke them. HUNTIN' TIP: When carrying your turkey decoy through the woods either stash it inside a sealed backpack or carry it in a blaze orange bag. The same applies to the bird you just harvested. Place it in a blaze orange bag or tie something orange around it. Safety is no accident! Spring is officially here but there’s still a chill in the air that triggers that urge for a hot bowl of chili to warm you up. Backwoods Bound Chili Seasoning Mix with its unique blend of herbs and spices makes a great pot of chili the family will love with NO added fillers or MSG! It must have been a good deer season in West Virginia last year. We’ve made a lot of WV plaques the past couple of months! The shop continues to stay busy filling orders for our After The Shot Trophy Plaques for not only West Virginia plaques but Wisconsin, Illinois and Pennsylvania designs have shipped out lately. Go to www.backwoodsbound.com/ats.html for all the information on our line of After The Shot Trophy Plaques and remember we do special designs! We’re still gathering things for the upcoming spring issues and need your stuff! Everything is needed from recipes to trail camera pictures to hunting stories! Send all of your stuff in now so we can sort through it and get things lines up. Send everything to mail@backwoodsbound.com. Thanks and we look forward to getting them. Most hunters just measure the length of the beard and spurs after taking a tom or jake but there’s a little bit more to it than that. Here’s the procedure to get the “official” score on that big tom you plan on taking this season. Step one – Weigh the bird to the nearest ounce on scales certified as accurate for trade by the state Department of Agriculture or on an accurate scale by a licensed guide or outfitter, or on the official scales of a governmental wildlife agency. Step two – Measure the length of the beard. It must be measured from the central point of protrusion from the skin to the end of the longest bristle. Step three – Measure the spurs along the outside centerline from the point at which the spur protrudes from the scaled leg skin to the tip of the spur. Step four - Total up your overall score. Add the left and right spur lengths together. Multiply that total by 10. Multiply the beard length by 2. Now add the spur total, beard total and weight together. The sum is your overall score. Example: Left spur 1½” + right spur 1½” = 3 multiply by 10 = 30. Beard length is 7” multiply by 2 = 14. Weight is 20 lbs. 30 + 14 + 20 = 64. * Beard and spur length measurements are measured to the nearest 1/16 of an inch. In order to standardize measurement, all measurements are to be recorded in sixteenths. Thanks to the National Wild Turkey Federation for some of this info. For more information visit them at: www.nwtf.com. Can you spot the raccoon? It’s in the lower left corner with its head down. * In a large skillet, mix the beef or deer with the chili seasoning mix. Brown and drain off fat. * While the meat is cooking, bring 2 cups of the water to a boil. Remove from heat and add the bouillon cubes. Stir until dissolved. * When the meat is browned and drained, add the beef broth, 1/2 cup water, beans and tomatoes. * Bring to a boil. Reduce heat, cover and simmer 10 minutes. * Remove from heat and stir in the rice. * Cover and let stand 5 minutes. * Stir. Top with the cheese, cover and let stand a couple of minutes to let the cheese melt. * Serve over tortilla chips or serve them on the side. To see more delicious recipes using our Backwoods Bound Chili Seasoning Mix go to www.backwoodsbound.com/zchili.html. ANSWER TO BACKWOODS TRIVIA:The five sub-species of wild turkey that live in North America are the Eastern, Osceola, Rio Grande, Merriam's and Gould's.